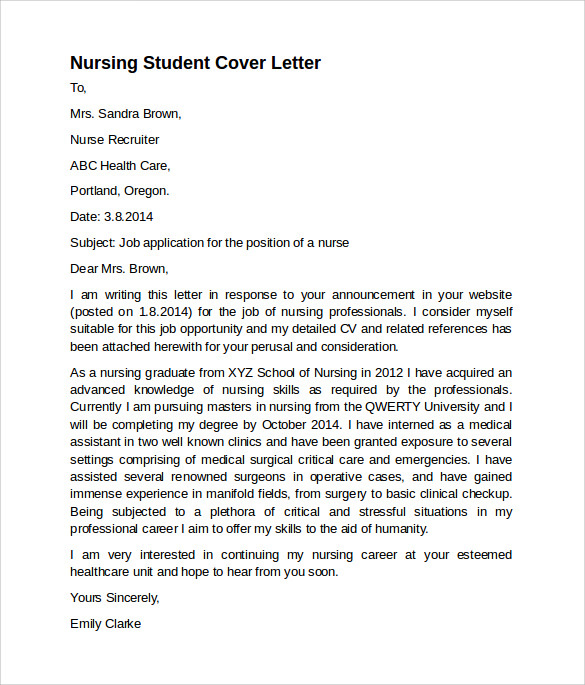 An applicant, who graduated from the nursing course and possesses the license already, can already apply in the hospitals and medical institutions. 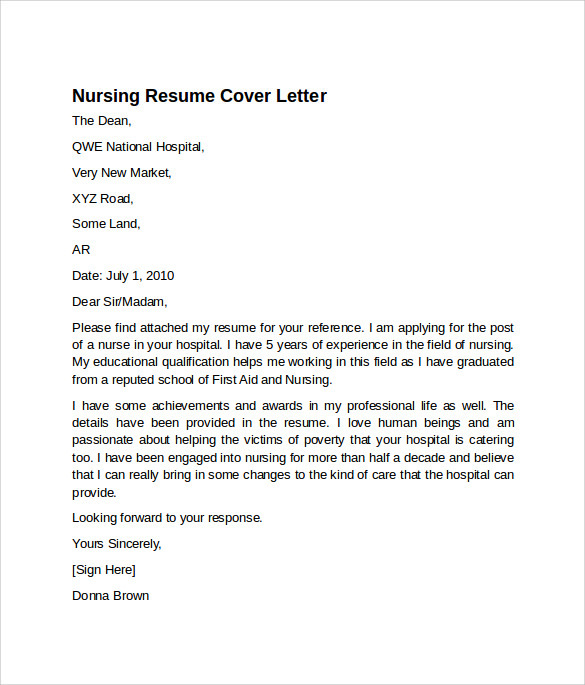 In order to impress the management, cover letter should be good and professional handmade. 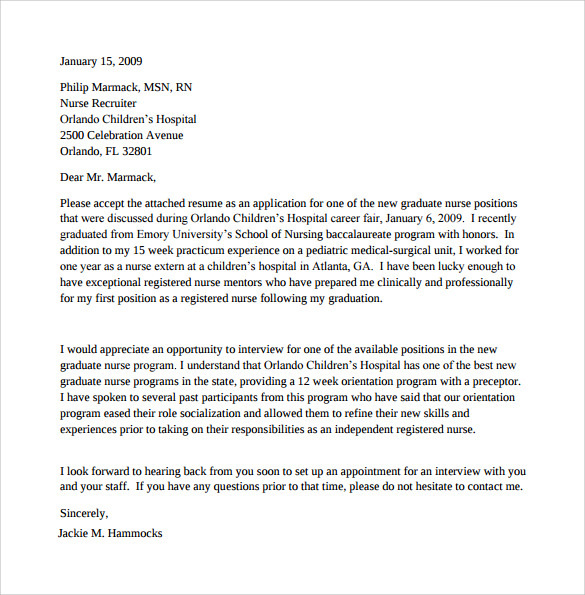 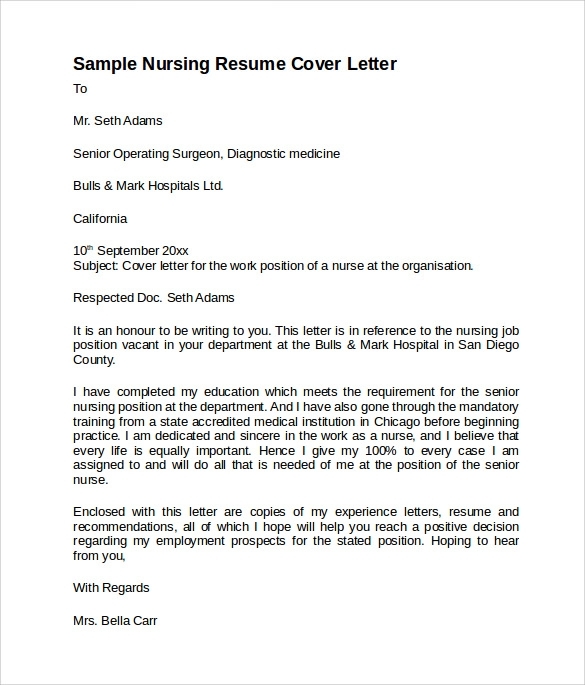 A Nursing Cover Letter Template is best for nurses who want to pursue their career and be accepted immediately by using this as a reference guide. 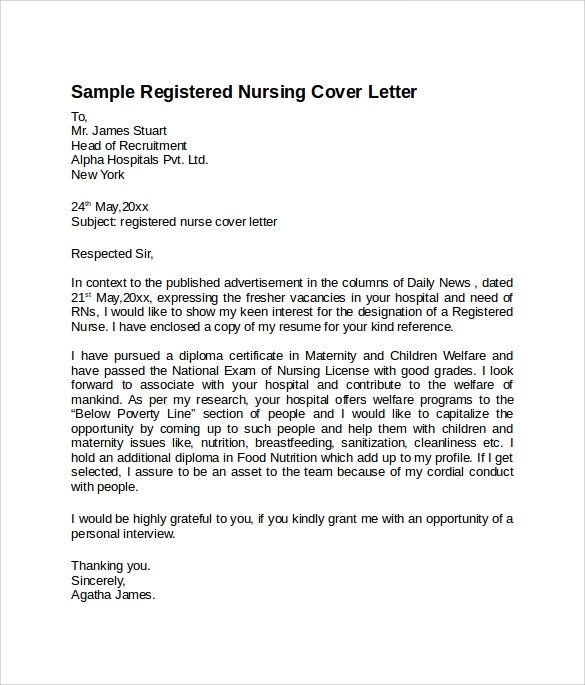 There are free samples for nursing cover letter template set up in website template. 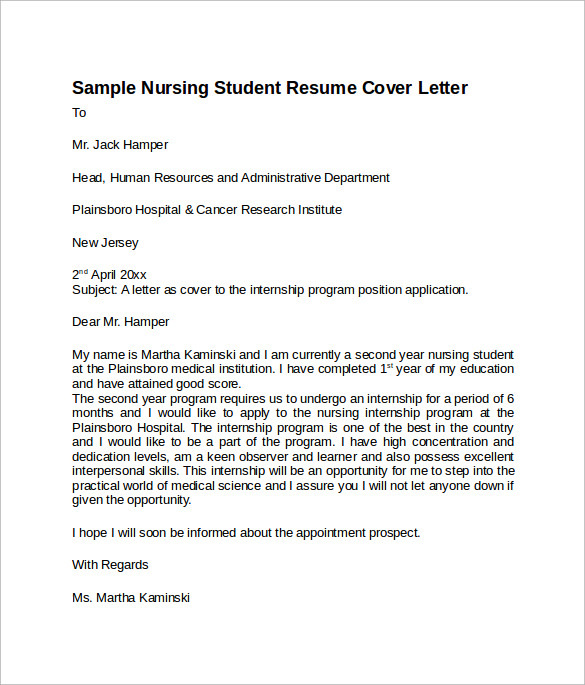 These samples can be customized according to one’s skills and experiences. 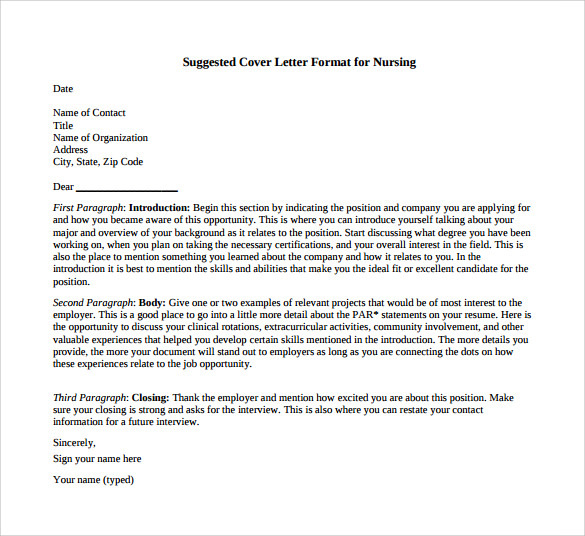 Hence all these are downloadable and printable in Word format. 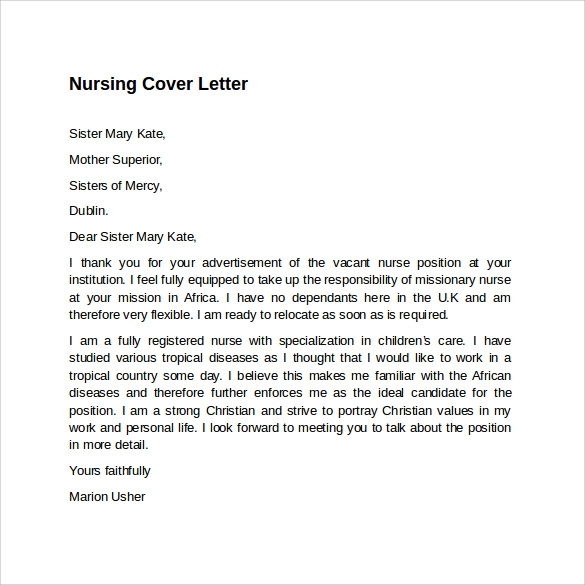 A nursing cover letter template is a professional cover letter tool purposely created for nurses to make a cover letter that will last to the mind of the reader which is the employer per se.